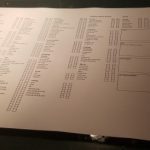 A new Sports Bar has opened in Chester called Club Globe. I visited it the other evening. 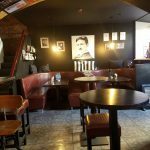 From its previous incarnation as a private members club, it had some pictures and framed posters on the wall. 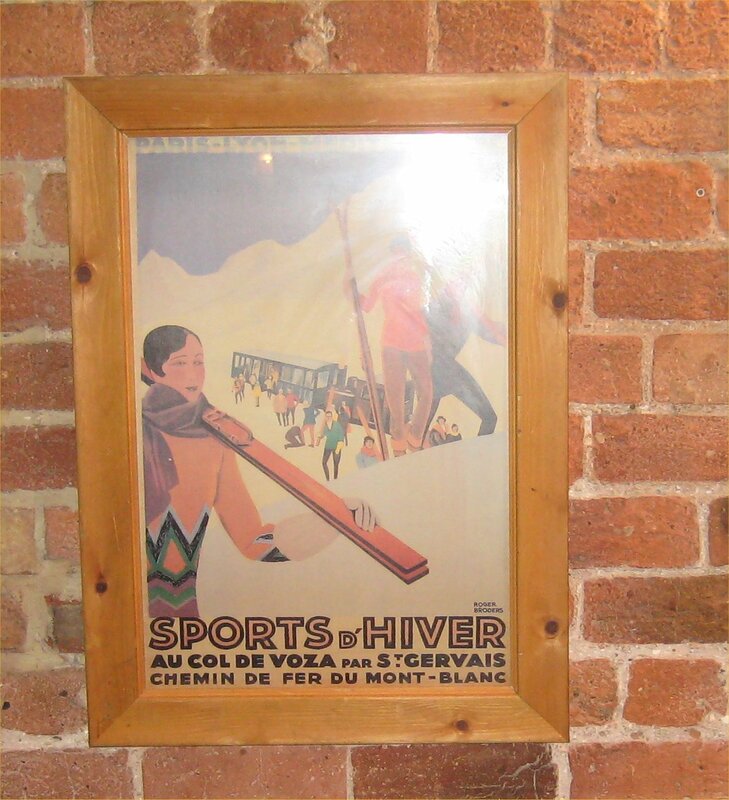 What a co-incidence, I saw this one, about the Col De Voza in St Gervais, in the French Alps. In the Winter its a popular Ski destination, but in the summer its popular with walkers and mountaineers. It was the first hill I ever climbed in the Alps. How co-incidental is that ? 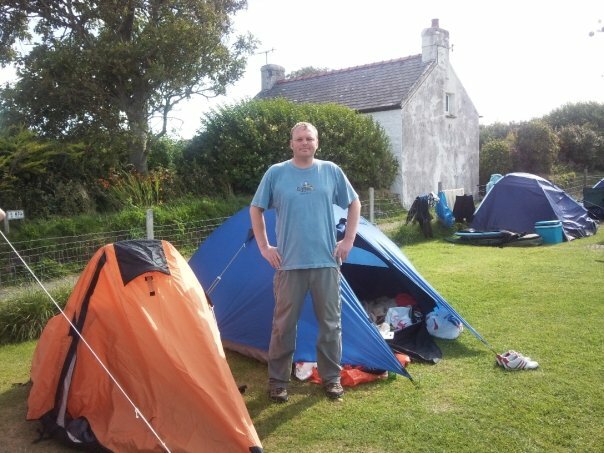 I was reading recently that Trip Advisor’s 10 best destinations for 2010, actually includes the Scottish destination of Nairn (they normally have loads of places like the Galapagos Islands on their list). I cant argue with that here, in the UK, the pound is pretty awful against most currency’s in the world and definatly the the Euro. I’ve often enjoyed weekends in the lakes (I can jump in a car straight after work, check into my room, and be enjoying a pint and pie and mash by 10pm) and although Scotland is a bit further, it certainly has travel simplicity on its side. The other thing about it, is although cottages seem expensive at first (like the one I stayed at recently in Anglesey) once you get there, you can cook your own food and buy cheap drinks from Supermarkets, which drops the cost down massively. 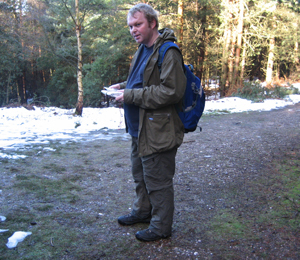 Trying to make the most of the Weather (a bit ironic, since most people are staying indoors) I have been pottering around Delamere Forest, practising my navigation. The train costs £3.30, Sandwiches cost practically nothing, and I take my own flask for hot drinks. I haven’t done any Bushcraft training or activities, since April last year. 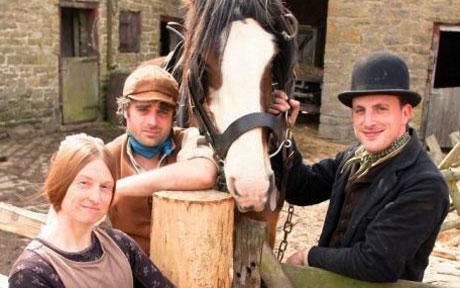 One thing I have really enjoyed recently, is a series called Victorian Farm. Its absolutely amazing the way they run the farm, whith a mixture of simple living and “high tech” Victorian contraptions. Apparently Ruth Goodman runs classes in traditional living. When life returns to normal, I hope to get involved (I also want to get back to Woodsmoke, feels like ages since I was last there). I’m still looking for work. The good news, is that my change in status has allowed me to consider a change in vocation, and I recently applied for a job at Waterstones (I would really love to work in a bookshop). While I was thinking about what job I would like to try my hand at, I considered for a moment, what the worst possible job would be. After some consideration, I’ve decided that its checking X-Rayed baggage at an Airport. Whilst I know the job has to be done, who in their right mind would WANT a job like that. 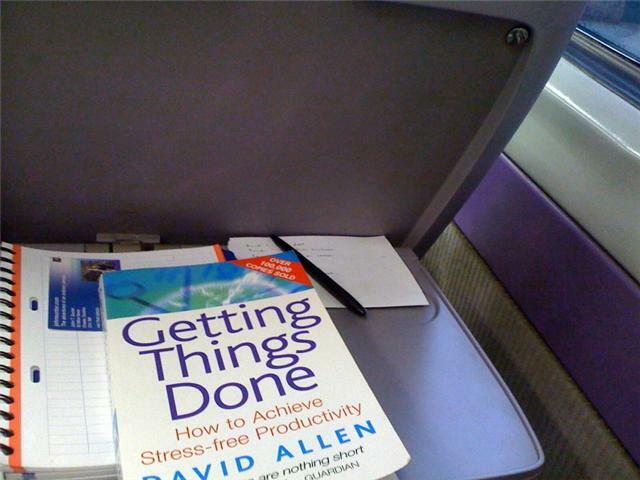 Back on the subject of books, one book I keep trying to get into, but never seem to succeed, is ironically Getting Things Done by David Allen. As a last resort, I even took it with me on a train journey to Manchester (It was calculated by Brian Tracey, that if you sit down to do some work on either a train or a plain, you are 35 times more productive). I got half way through it speed reading in an hour, but its still hard going. I’ve also joined Chester library. As part of my daily routine, I am going through my shelf of technology books, and reading for 2 hours each day (I normally read in the library, as I find my room isolating sometimes). Some years ago, I read Rich Dad – Poor Dad by Robert Kiyosaka. I wont spoil the book, but he talks about real ways to make money, the myth of the middle classess and stuff like that. The book takes its name from his own and his friends family. The two were so close that they considered themselves to have 2 famlies, and therefore 2 dads. The basic play is that his dad was a lawyer, drove a BMW etc, and his friends Dad owned a pool cleaning business, a shop and stuff like that. Because his friends dad lived simply and used his money for leverage etc, he died a billionaire, while his lawyer dad, died broke. One section of the book, talks about how Rich Dad, drove a very cheap knockabout car, despite the fact, that he was very wealthy. The logic went that a Rich Dad, should spend all available money, on assets. Since an asset is something that normally increases in value, and a car normally decreases, it was reasoned that a car could only be an asset, if it could be used to generate money. I was recently talking to a friend. 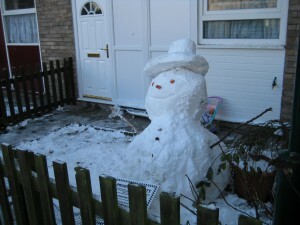 I wont name him or go into specifics, but he has a property portfolio worth around £1,000,000. 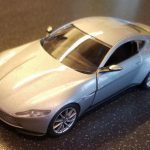 We were discussing the book, which he had also read, and to my amazement, it was the inspiration for him to purchase the vehicle above, which cost less than £1000. 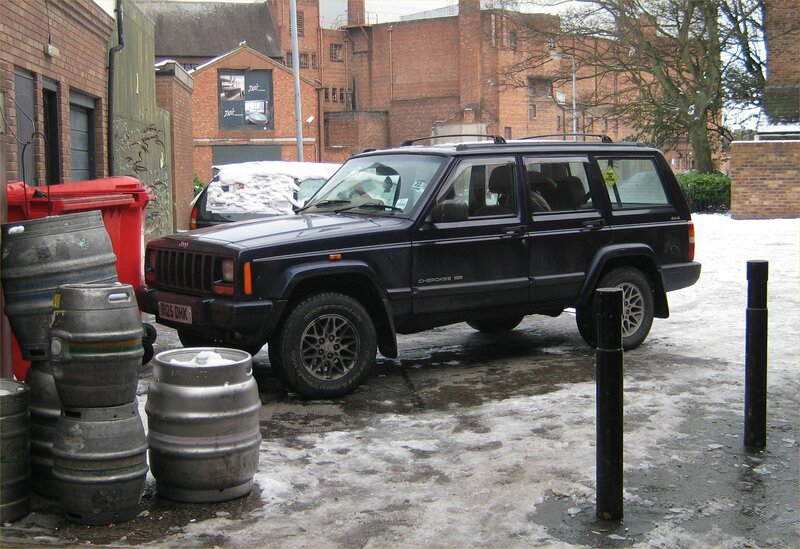 The Jeep carries £2000 worth of beer to his pub each week !. I normally try to act on things that I read in books, but It was amazing to see someone read the same book as me, and take it so literally. Well, we won’t see many days or have the opportunity to do things like, this for a while. In short, the weather here in Chester (and indeed the rest of the UK, is pretty terrible). 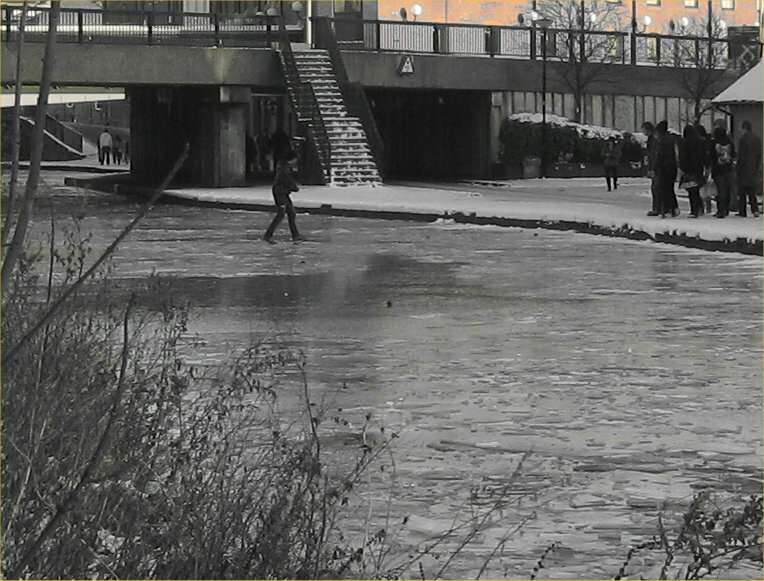 Walking back from a shopping trip the other day, I spotted this “yoof” walking across the ice, being egged on by his friends (from the safety of the bank). 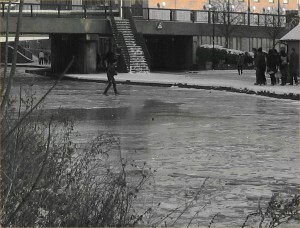 He made it all the way across, and back again, before lampooning at the waters edge, and sinking to his chest in freezing water, before his friends pulled him out. 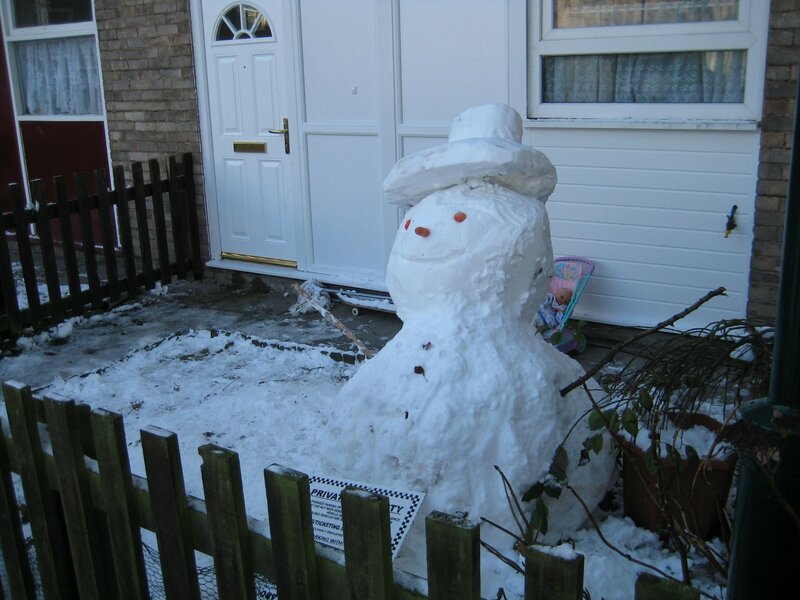 On a more traditional front, some of Amelia’s neighbours made this rather excellent snowman, complete with hat, buttons, the whole lot. Its a sad indictment of society, that they had to put up a sign saying private property, to stop hooligans from destroying it. Me, well, I’m wearing 2 jumpers as I type this !. A few years ago, I was in Dubai. I had been looking forward to it immensely, but to be honest, it felt a bit empty. 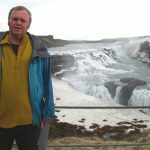 The thing is, everyone raves about it, but as a travel destination, rather than a holiday retreat or a business venue, I couldn’t think of many new things to do, once you had been there 48hrs. One thing that did interest me, was the ski slope in the desert, and the Burj Dubai Tower, which was under construction. 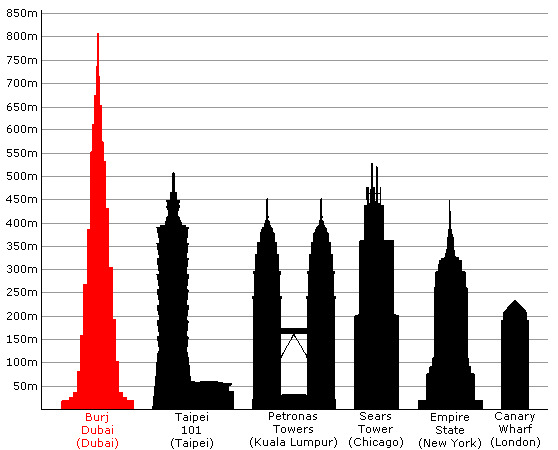 Once completed, it would be just shy of half a mile high (its actually taller than that now). I read the other day, that it had finally been completed. I saw this Chart, showing its relative hight. I’ve stood in front of the Petronus towers, and all I can say is, if a building is nearly twice THAT high, it must be inconcievably large. 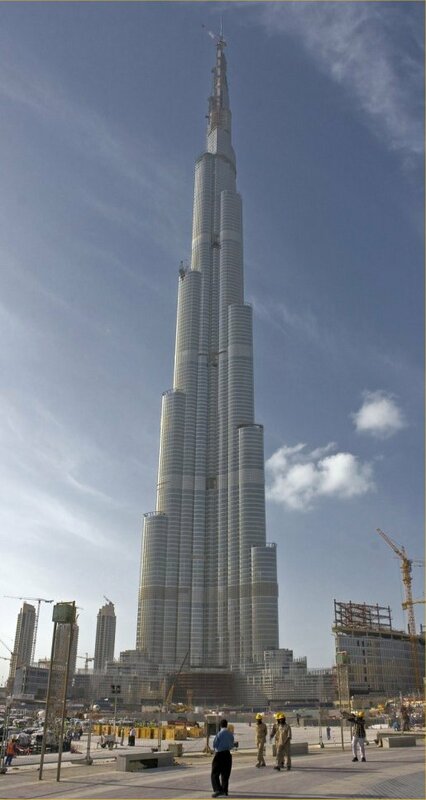 On opening, it was renamed, the Burj Khalifa Tower. Sheikh Khalifa bin Zayed al Nahyan has been responsible for bailing out Dubai financially, so I wondered if it should really have been called the “Thanks for getting us out of the Sh1t tower” ! (but then I can say that, I’m in a country with relatively free speech !). Don’t know, if Ill go back to Dubai (although I imagine it is/will be a lot cheaper) but I’m still drawing up a 2nd bluelist for when times get better, and a building that can bee seen with the naked eye, 54k away, must be a sight to behold.